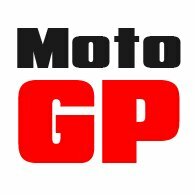 Here at Motolegends, we’re not really about sportsbikes, one-piece leathers, knee sliders and helmets with lairy race graphics. But for some time we have been looking for the perfect, full-face helmet that does everything, and that looks as good on a BMW GS as it does on a shed-built Bonneville. At the beginning of 2017, Shoei launched the RYD helmet. We instantly liked the smooth, rounded profile of the shell and its near absence of clutter. We tested the helmet for a few weeks prior to its launch, but swiftly came to the conclusion that it was a cracker. With its multi-composite outer shell (the same material used by Shoei on its top race helmets), the Shoei RYD helmet is unfeasibly light, coming in at just 1300 grammes. Now nobody likes unnecessary weight. It puts pressure on the shoulders and neck, but women in particular like a lightweight helmet, and since it was launched the RYD has become our go-to lid for lady riders and pillions. But what impresses particularly with the Shoei RYD helmet is its comfort. 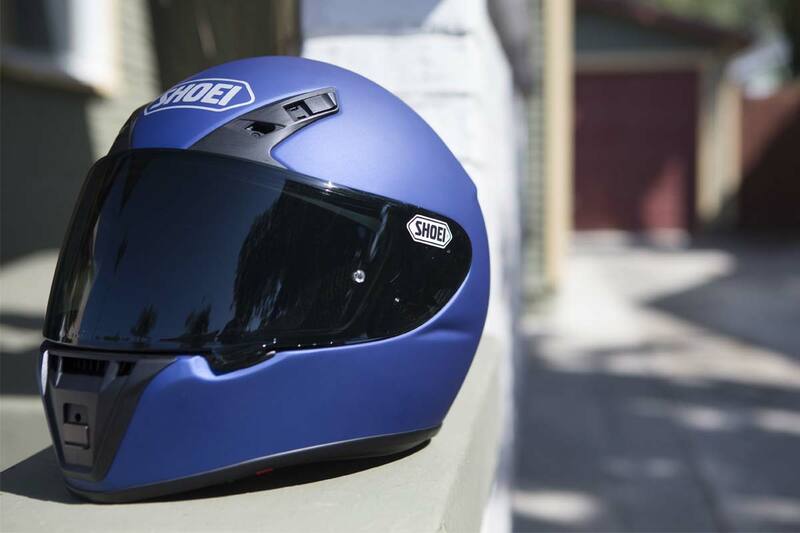 One might expect a company like Shoei to be able to produce a helmet that fits well, although you’d be surprised by how many well-known brands still get it wrong. 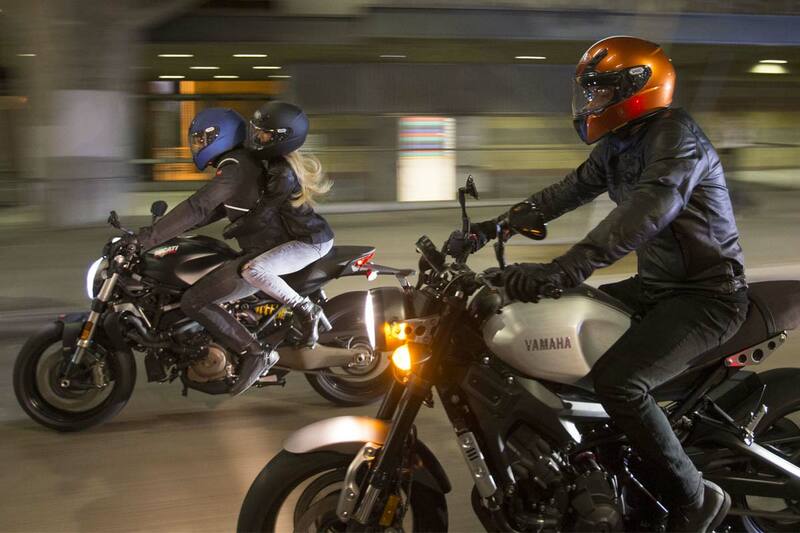 Right out of the box, the Shoei RYD helmet seems to fit just about everybody. It’s cosseting yet still firm. And part of the reason it fits so well is that it comes in no less than four shell sizes, which is extremely rare for a full-face helmet. But if the helmet is not the right size for the shape for your head, the standard 35mm cheek pads can be exchanged for 31mm, 39mm or 43mm cheek pads. Suffice it to say that we’ve never failed to get the Shoei RYD helmet to fit somebody. The large number of shell sizes also means that the helmet has a pretty low profile; it’s not going to look like you’re wearing a bowling ball. It is, for this same reason, that Shoei tells us it did not build in a drop-down sun visor. If you build a cavity into a helmet's eps sufficient to take a visor, it will of necessity increase the size of the helmet. And whilst we can accept this, we think it’s a shame, and potentially the RYD’s only weakness. A drop-down sun visor has become pretty much de-rigeur on a sport/touring helmet. It’s incredibly useful and, in certain circumstances, it can be a life saver. If the RYD had a sun visor, it would blow everything else into the weeds. As an after-market extra, one can always fit the RYD with Shoei’s reactolite-style visor that goes from totally clear to dark dependant upon the intensity of the sun. But it’s furiously expensive, adding almost 40% to the helmet's price. We can’t, therefore, really recommend it even though, as far as we’re concerned, it would turn the RYD into the ultimate road helmet. The helmet is also well vented, with two inlets on the brow and one on the chin. To allow air to escape, there are two exhaust vents at the back of the helmet. Noise, we might suggest, has not always been Shoei’s strong card, but they’ve done a great job with the RYD. Undoubtedly, the specially designed acoustic pads by the ears have a lot to do with this. 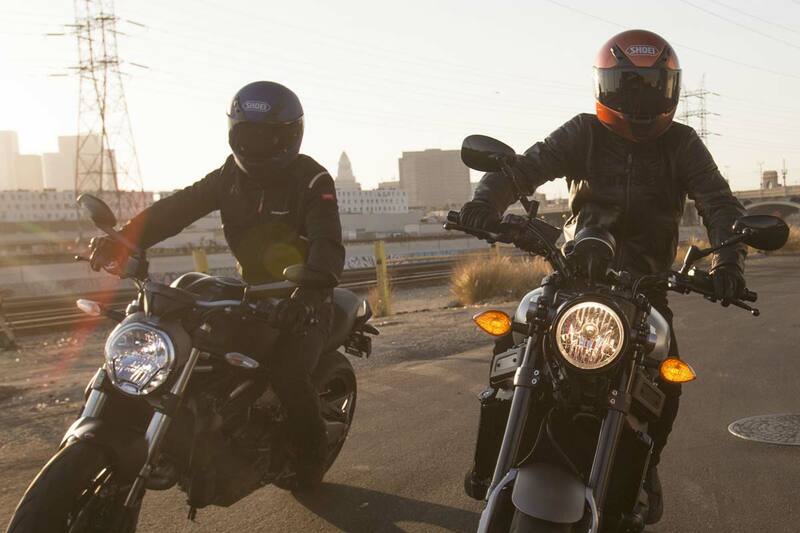 The chin guard also plays its part here, reducing turbulence and keeping noisy air out of the helmet. To make sure the RYD never fogs up, it comes in the box with Pinlock’s highest rated, most moisture-resistant, Evo insert. Most of the other stuff on the RYD is what you’d expect of a helmet from a company like Shoei. We're talking about things like a multi-layer eps that absorbs impact in a progressive manner, a quick release system to help the emergency services to remove the helmet, and so on. The RYD is not quite the perfect, classically -styled helmet that we've been looking for, but that’s a helmet that doesn’t yet exist. But it is, in our humble opinion, about as good as a road going helmet gets. It really does tick all the boxes. You could pay twice as much and still not get a package of this quality. And so, yes, you could happily wear it on everything from a GS to a Bobber. In fact, the guy who runs Bike Exif reckons it has quickly become his favourite lid. If you’re thinking you might want comms., we currently tend to fit Interphone, but now that Shoei has started to work closely with Sena, we’re hopeful that a dedicated Sena comms. package for the RYD will come along at a some point. Finally, it should be pointed out that the RYD comes in a fairly limited array of colours, but we don’t see this as a problem. This is not a helmet for boy racers. We like the colourways just fine!